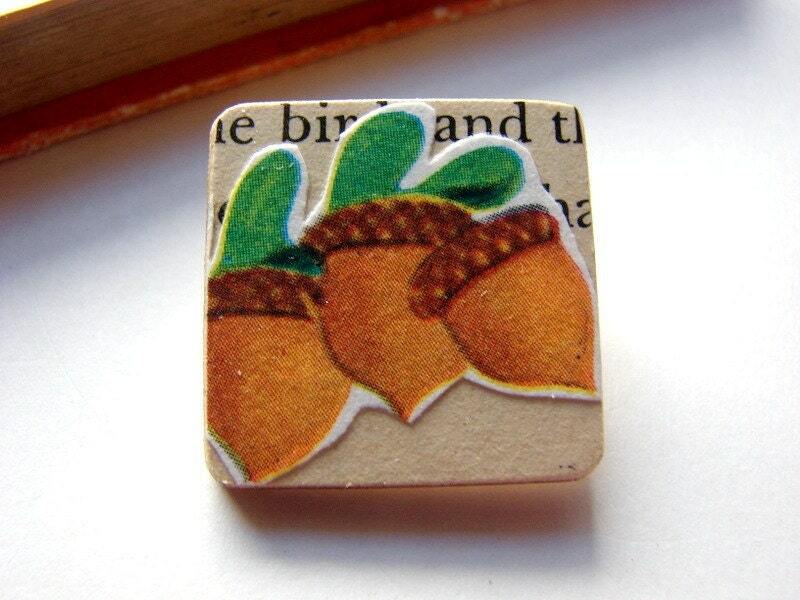 A one of a kind decoupaged wood pin brooch- Acorns. A collage made with vintage paper and an illustration cut from a vintage childrens book is decoupaged onto a wood square then sealed with two coats of varnish. This is a very small pin, measuring 1" square, with a standard pinback.